Over the past month and a half, I have had the opportunity to spend about 45 hours exploring the relatively new martial art of Aunkai. 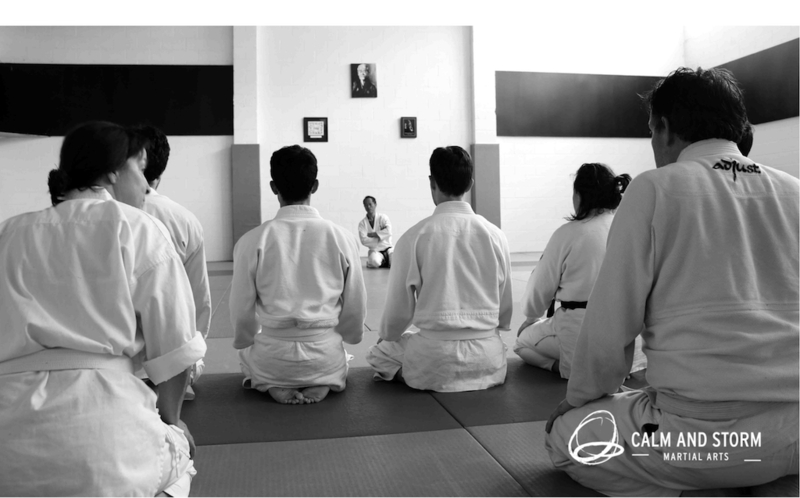 After a few weeks of classes with Filip, I attended an open weekend seminar and an intensive 4-day seminar with Akuzawa Sensei himself. 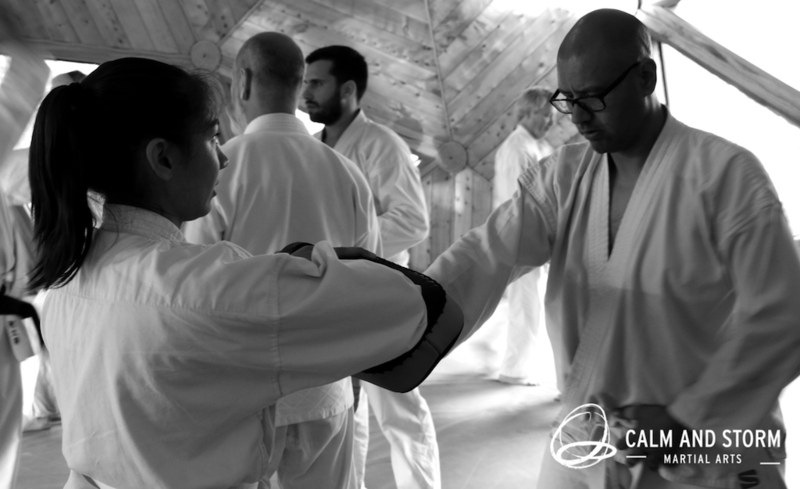 I have been training in martial arts for nine years: mainly Aikido, with brief stints of Boxing, and BJJ. When training with most people I can feel how they move me and how they disrupt my balance. They convey a lot of information about how they are moving and their intentions through their shoulders tensing, a pull here and a push there. In contrast, with Akuzawa sensei there were times where I felt nothing, where my body just crumpled and I had no idea why. To an observer, it would have looked like I fell of my own accord because visibly he did very little external movements. We covered so many different things that I could easily write pages and pages, but I will try to sum up the main things that I took away from my brief stint of Aunkai. Don’t tense up upon impact. The natural reaction to being confronted, grabbed or hit is to tense up and fight back. But tension gives the other person something to use against you, telegraphs your intentions and tends to escalate the situation. 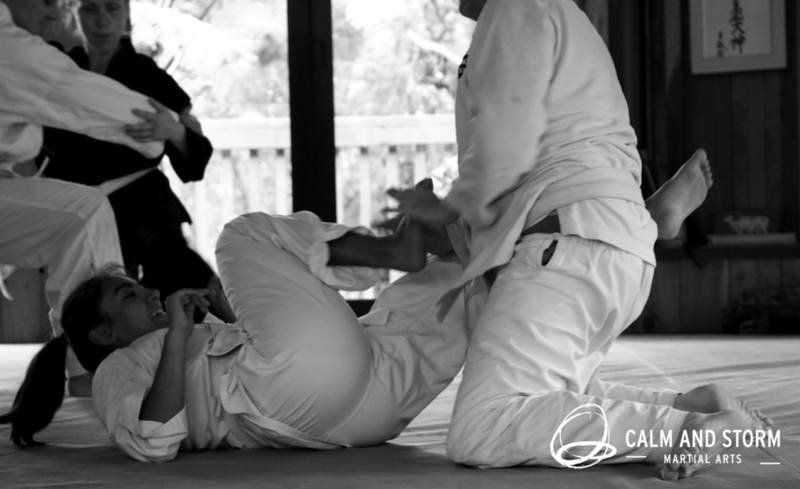 In contrast, by making subtle internal adjustments you can transfer the force into your pelvis, allowing you to move freely without giving the other person something to fight against. Minimal muscular exertion. A good structure allows forces to travel through your bones and so no more muscular exertion than what is required for you to stand and walk about should be necessary. Movement comes from your joints, aligning your spine and the positioning of your frame relative to the other person rather than muscle exertion. This can be hard to do because using your muscles just feels good (those endorphins!) whereas using more internal movements doesn’t give you that same sense of self-fulfillment. Alignment is key. From what I understand, so far, the main structural requirement is to have a straight spine. Firstly to get the spine aligned on a vertical axis the head should tilt slightly in such as way that the chin goes downwards and the ears upwards. The sternum and hips adjust as required to get a feeling of being suspended from the top of the head. Secondly, the spine itself should not rotate, meaning that shoulders and hips stay in line with each other. The simplest exercise that allows you to feel the benefit of having good alignment was demonstrated by Rob. First walk around normally and see how much a push to the back disrupts you. Then walk around backwards, noticing how the alignment of your bones naturally changes to more upright position. Keep this alignment and walk forwards again, you should be much less disrupted by a push to the back. Move freely. The hardest thing for me to get my head around was being okay with not always feeling stable – being stable feels safe but makes it harder for you to move. We Move freely. The hardest thing for me to get my head around was being okay with not always feeling stable – being stable feels safe but makes it harder for you to move. We practiced dealing with a variety of incoming forces both on the ground and standing with a lot of focus on not letting things become static. 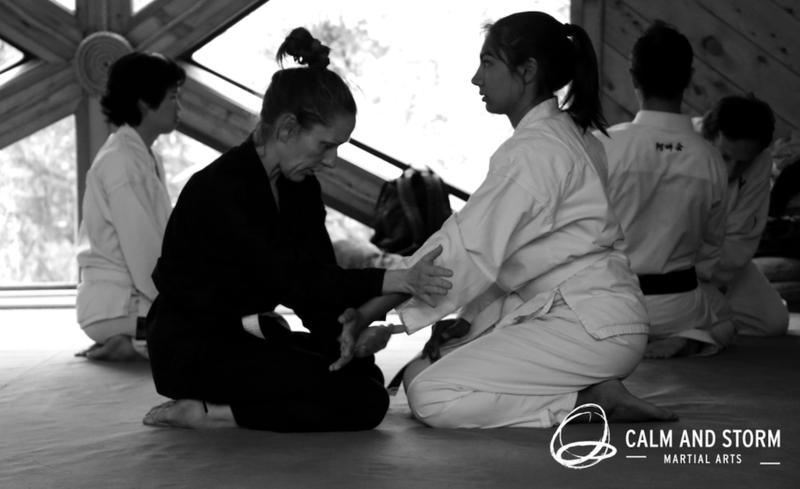 There was a great deal of emphasis on exploring regaining posture from an unbalanced position. I found Aunkai a thoroughly refreshing change from the elaborate web of techniques that other martial arts have. It’s what, in my humble opinion, martial training should be: anything goes except for strength. 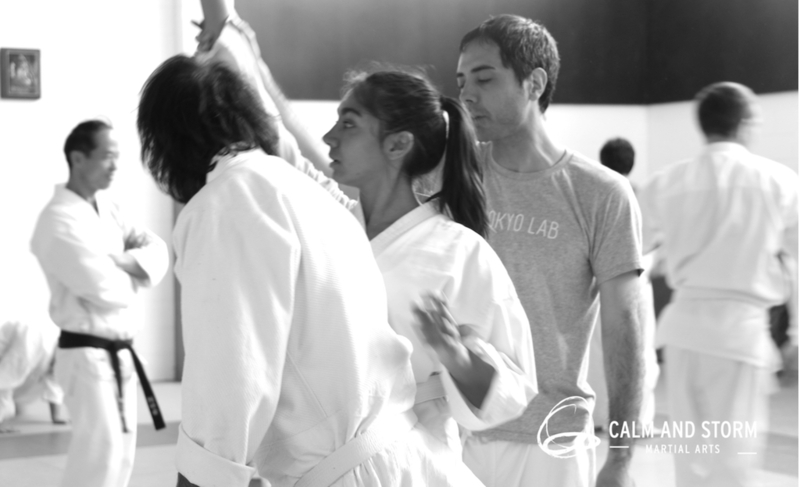 Rashmica Gupta has trained in Aikido since late 2007. 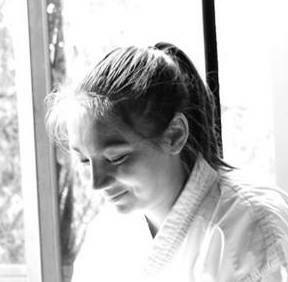 During this time she has also dabbled in BJJ, Boxing and Tomiki Aikido. 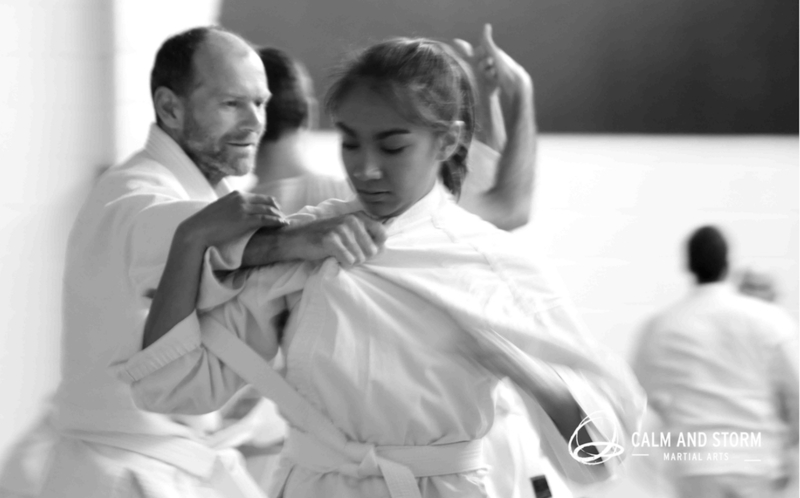 She joined Calm and Storm – Martial Arts Aunkai classes for a couple of months leading up to the recent seminar series and now lives and trains in Canberra, AUS, where she continues to explore Aikido and BJJ.